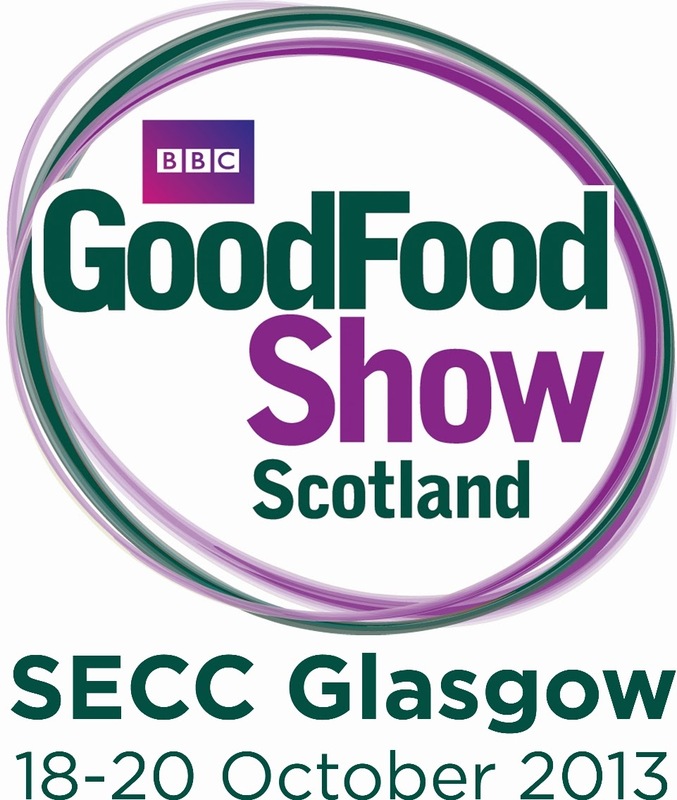 Last Sunday, Disneyboi and I ventured down to Glasgow for the BBC Good Food Show Scotland, held at the SECC. Sadly, I could make only one day of the event, but was excited nonetheless. It was an early start getting up just after 6am, travelling down and reaching our venue around 10ish. 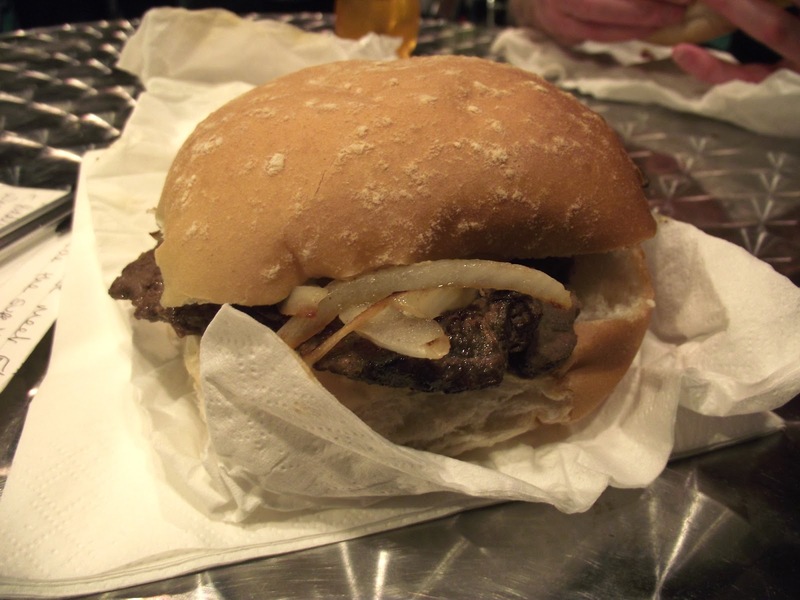 As you may remember, I was selected to be a BBC Good Food Show blogger. This meant Cakeyboi was there as ‘media’. We walked in, me sporting my press pass and we initially had a wander round, trying to get our bearings. After this we went into the VIP lounge area where there were exclusive events happening. 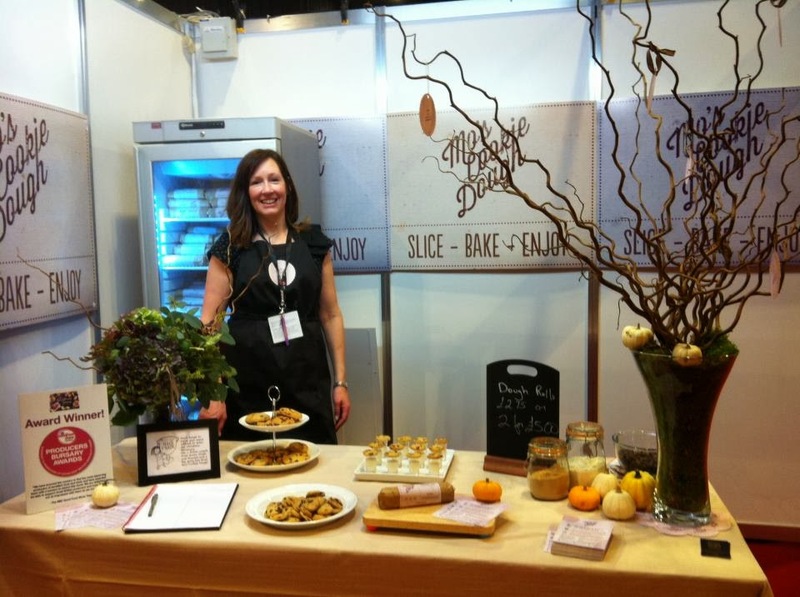 One that we saw was a talk called “From bean to bar” from the people at ‘The Chocolate Tree’ artisan chocolate makers based in Edinburgh. We learned about the chocolate making process and tasted different strengths of chocolate and munched on a cocoa bean. After this we took another walk about the exhibits, but then I had to head off to meet ‘Flo’ who was taking me backstage of the Supertheatre. 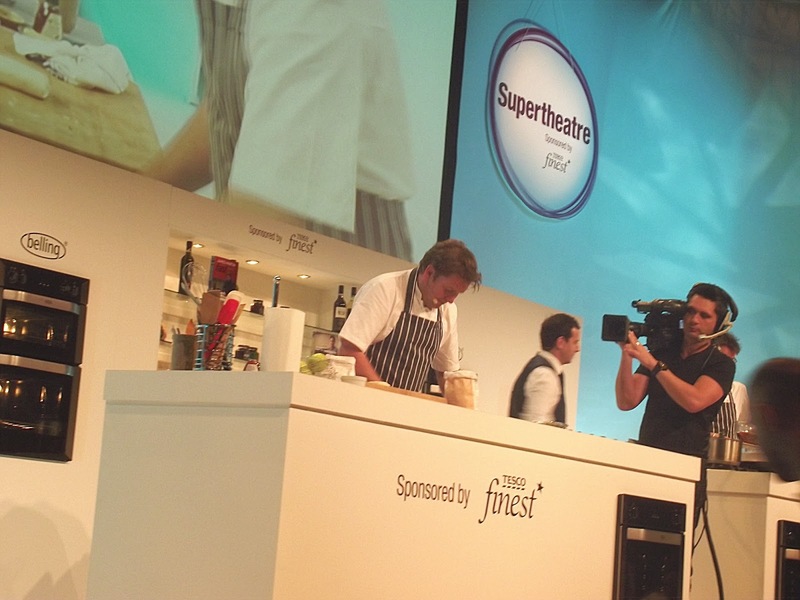 The Supertheatre is where celebrity chefs cook live on stage and chat with the audience. 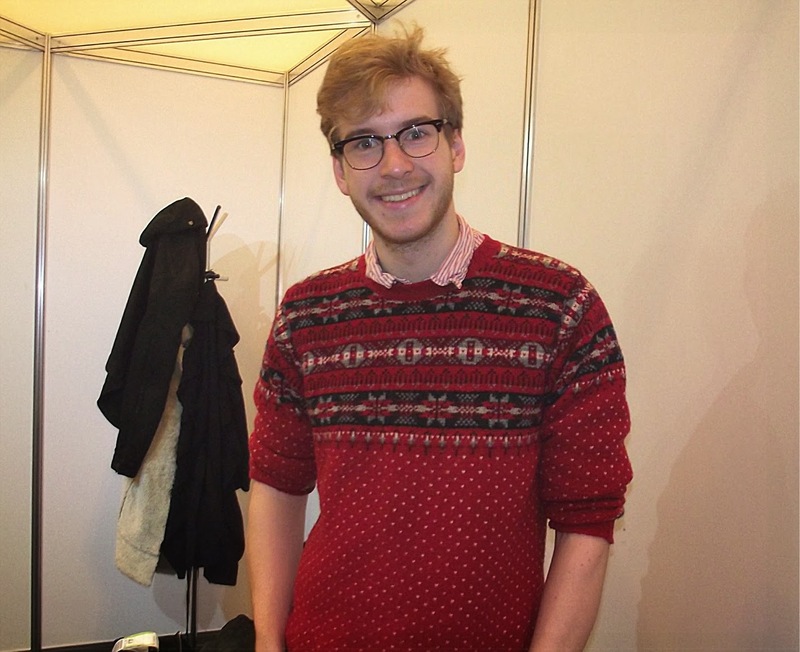 And lurking backstage was none other than James Morton of Great British Bake Off fame. I chatted to him for a couple of minutes and spoke about Darling’s Coffee Shop in Arbroath where I live. James recently visited here and filmed with them, as they are in the running for an award ‘Community Project of the Year’. We both said what great work they do and that hopefully Sharlene and her team win. James will be at the award ceremony himself he said. Then myself, and a couple of other BBC Good Food Show bloggers, were lucky enough to meet James Martin, he of ‘Saturday Kitchen’ fame and interviewed him. I will bring you the interview with James very soon. I then had to rush front of stage as James was about to do his demo. I met Disneyboi who was already there and we settled down to watch James cook up three dishes – a beetroot salad for starter, braised ox cheek on a bed of barley risotto for main course followed by quince and apple galette. I think that’s what the three dishes were called, but I was too busy salivating over them. After this we headed for lunch and had delicious buffalo sandwiches courtesy of Puddledub Buffalo. I had steak and Disneyboi had a burger, but we swapped halfway through so got the best of both delicious worlds! We took back to the exhibits and I spoke with several, including Morag from Mo’s Cookie Dough, who I wrote about last year. She explained what a great year they had had, and that her cookie dough is now available in Whole Foods and other outlets. Morag kindly gave me some of her delicious cookie dough and I will be baking with this next month, but not in a conventional way! I also visited Holly’s Cupcakes who specialise in cake decorating supplies and carry an extensive range of products from cupcake cases, edible glitter, baking pans, food extracts and essences, colourings, you name it. They kindly gave me a goody bag of items which I will enjoy using over the next wee while. 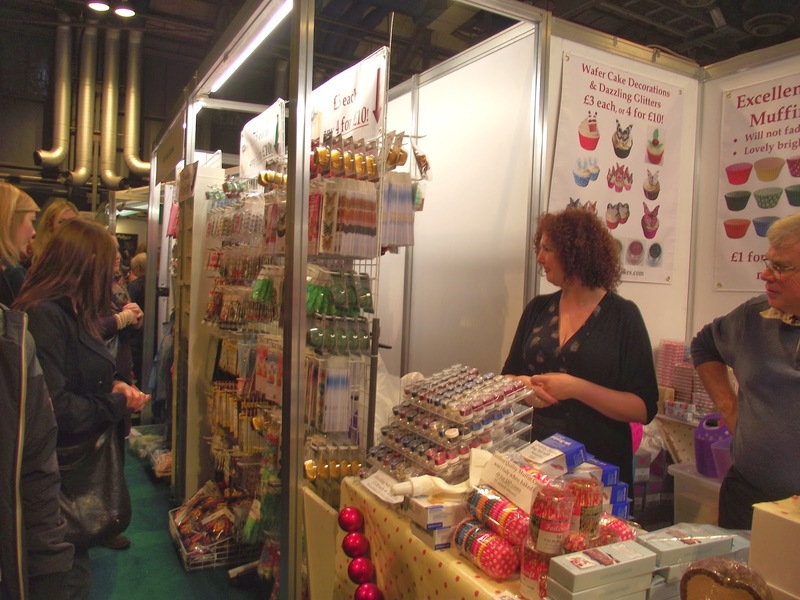 I spoke with the lovely people at Ochil Fudge Pantry who had loads of flavours of their delicious fudge on display. We plumped for Iron Brew flavour, Maple Syrup, Chocolate Lime and Rhubarb Crumble. I have started on all of them as you can see! Sadly, my experience was over far too soon, but I met lots of exhibitors, bought lots of treats and almost got sozzled on the amount of alcohol sampling which I had to undertake. A great day was had by myself and Disneyboi and I look forward to next year’s event – and all that may happen in between as an official BBC Good Food Show blogger! Disclosure Statement - I was not paid to write this post. I received some items free for review purposes. Any opinions expressed are my own. Love the sound of the Rhubarb Crumble fudge. I just visited the Ochil Fudge Pantry website and they have lots of interesting fudge flavours, including Apple Crumble, Chili Chocolate and Peanut Butter, which sound delicious, too. But as a sassenach I'm a bit bemused by the "Scottish Tablet Bar". They don't describe what a Scottish Tablet tastes like. Can you clue me in? Yep, Scottish tablet is difficult to describe though. Creamy and crumbly - a bit inbetween fudge and toffee but not really. You should try making some check out my recipe in the recipe index! Sounds like you had such a brilliant day! It's made me extra excited for the Birmingham show :) That fudge is on my shopping list! I can't wait to hear how your show goes Kat! Halloween Cartoon Time - S'pie'der!